CARFAX 1-Owner. EPA 32 MPG Hwy/22 MPG City! Sunroof, Heated Seats, Onboard Communications System, CD Player, iPod/MP3 Input, Dual Zone A/C, Keyless Start, Lane Keeping Assist, PREMIUM PACKAGE, INTUITIVE PARK ASSIST CLICK ME! Sunroof, Back-Up Camera, Turbocharged, Satellite Radio, iPod/MP3 Input, CD Player, Onboard Communications System, Keyless Start, Dual Zone A/C, Lane Keeping Assist. MP3 Player, Keyless Entry, Child Safety Locks, Steering Wheel Controls, Electronic Stability Control. WHEELS: 18" 5-SPOKE ALLOY Tires: 225/40R18 Front & 255/35R18 Rear All-Season, PREMIUM PACKAGE Heated & Ventilated Front Bucket Seats, INTUITIVE PARK ASSIST clearance and back sonar, ACCESSORY PACKAGE Cargo Net, Carpet Trunk Mat, Key Gloves, Alloy Wheel Locks. 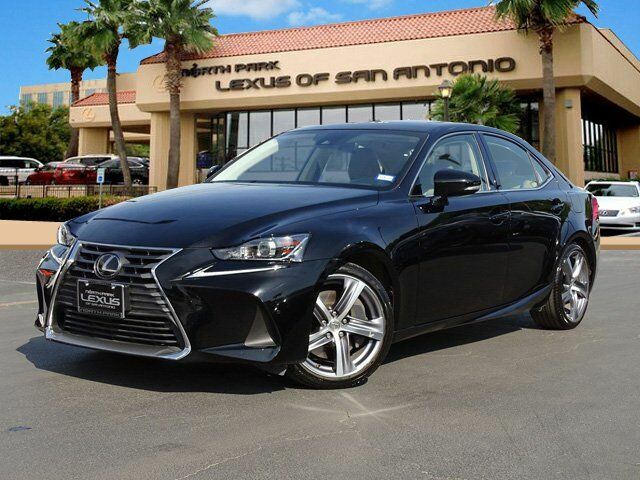 Lexus IS 300 with OBSIDIAN exterior and CHATEAU interior features a 4 Cylinder Engine with 241 HP at 5800 RPM*. Brake Assist, 4-Wheel ABS, 4-Wheel Disc Brakes, Tire Pressure Monitoring System Great Gas Mileage: 32 MPG Hwy. KBB.com explains "The Lexus IS delivers the speed, handling, comfort and luxury expected of a premium European brand, but with the kind of reliability and resale history for which Lexus is famous. Expressive styling sets the IS apart from most in this class. ".